There are a large number of offenses that can occur behind the wheel. The roads of the State of Florida are protected by local policeman, sheriffs, and highway patrol officers who take their jobs very seriously, as they should. 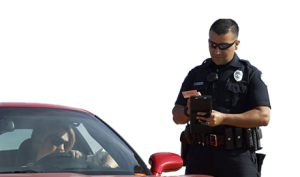 Some driving offenses are very minor with small penalties while some are extremely serious and could result in losing much more than your license. For example, driving under the influence or DUI is a serious crime and multiple charges or convictions can quickly land you behind bars. Driving with a suspended or revoked license can keep you from re-gaining your driving privileges for a long, long time. Even a speeding ticket, if not handled properly, can have pretty serious consequences. If you have questions about a driving offense that you have been charged with, contact our offices in Fort Lauderdale to consult with one of our attorneys about your case. You may find that with the right efforts, your case can be handled quickly and painlessly. We have years of experience defending clients against driving offense charges and our lawyers want to help get you the best resolution possible. For questions about a DUI, DWLSR, speeding, or other traffic offense, contact us by phone at (954) 764-6099 or (954) 524-6911 to schedule a personal consultation. You can also send us a message using any of thecontact forms that appear on this website. Whichever method is easiest for you, be sure not to wait too long before speaking with an attorney. Without prompt attention, you may sacrifice rights and/or defenses that may currently be available to you.